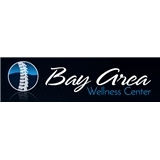 Bay Area Wellness Center (Saint Petersburg) - Book Appointment Online! Thank you for visiting Saint Petersburg Chiropractor Dr. David Preston and Bay Area Wellness Center - a professional Saint Petersburg chiropractic clinic. In practice as well as online, Saint Petersburg Florida 33713 chiropractor Dr. Preston strives for excellence through superior patient treatment, education and satisfaction.